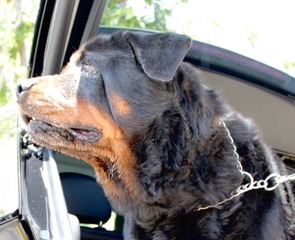 Emilio another Rottweiler that was dumped in the Redlands Fl. Redlands is a very sad place where all kind of dogs are dumped, and EMILIO was one of them. 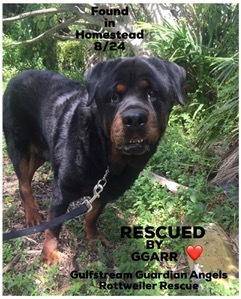 GGARR was notified and our Rescue Coordinator Luciana Pinto went, got him and drove to Mueller Animal Hospital. 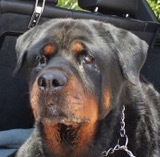 EMILIO, even wish his sad beginning, is such a docile and loving Rottie. 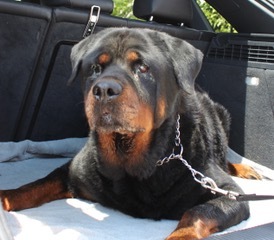 He was already vetted and has a problem with his eyes, He had also Entropion surgery but still not see as well as he should. He needs a good home. You cannot find a more loving Rottweiler. Come to meet him and you will fill in love with this loving gently giant. We are looking for a FOSTER home.